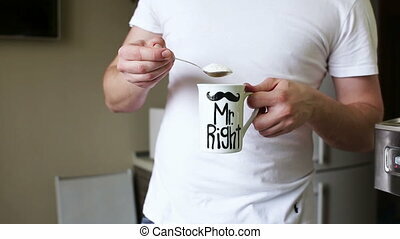 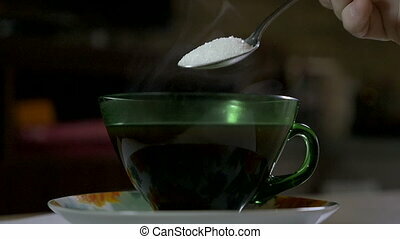 Man stirs sugar in a cup of coffee in kitchen. 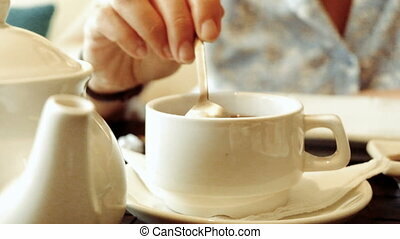 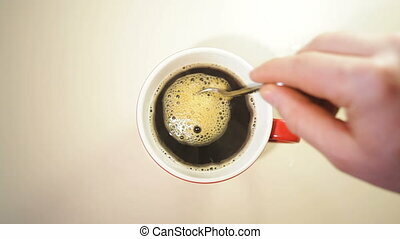 man stirs coffee in a cup on the table. 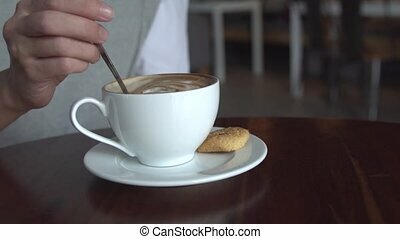 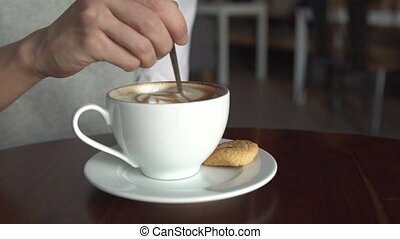 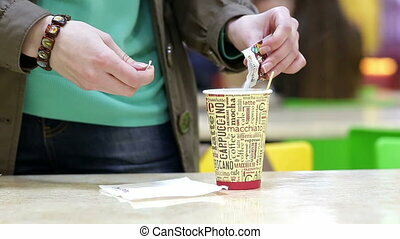 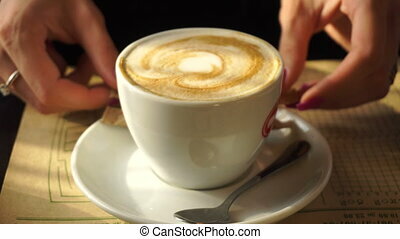 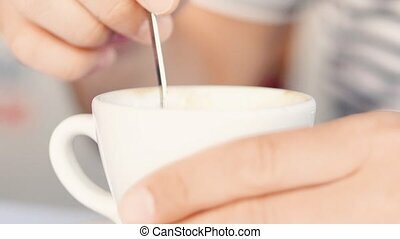 Female hand stirring sugar in a cup of coffee in disposable cup. 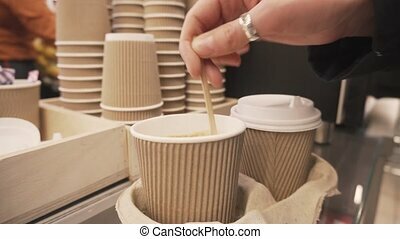 Takeaway service concept. 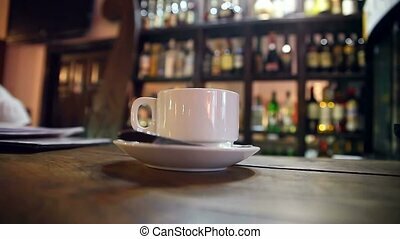 4k footage. 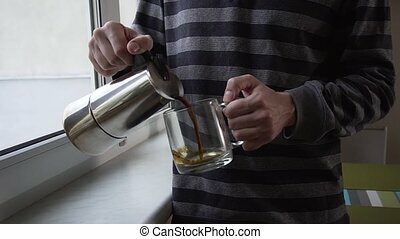 Close up shot of a bearded young man pouring coffee into a cup standing near the window in the kitchen. 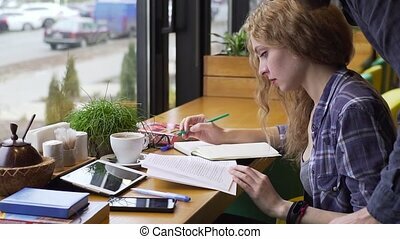 PAN of young man helps a girl with study in a cafe. 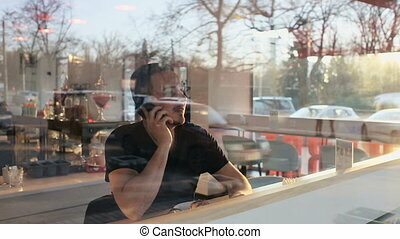 Slow motion shot of a man sitting in cafe with a smartphone in hands. 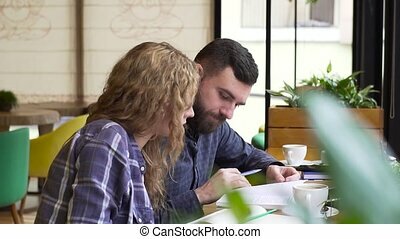 Tilt up of young man helps a girl prepare for the exam in a cafe. 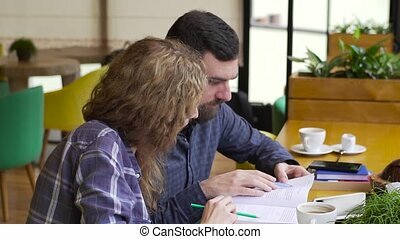 Slow motion young woman and young man reading a book together in a cafe. 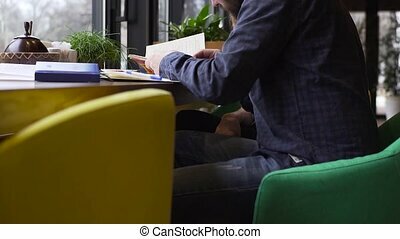 PAN of young woman explains to a young man a complex material in a book sitting in a cafe. 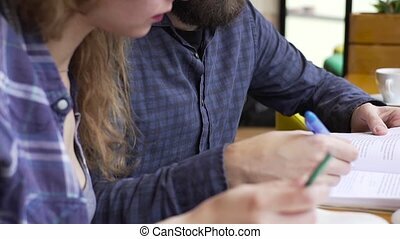 PAN of guy and girl together reading a textbook in a cafe.